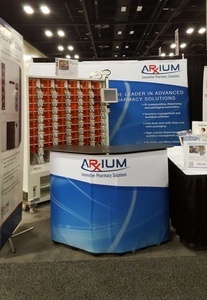 MedSelect� Flex, the cornerstone of the ARxIUM automated dispensing cabinet (ADC) solution line, offers hospitals and long term care pharmacy providers a modular and scalable solution that helps reduce medication errors, control costs, comply with regulatory agencies and increase staff productivity. This is accomplished through multiple levels of security, best-in-class data storage, robust reporting capabilities, true unit dose dispensing and single item access capabilities. 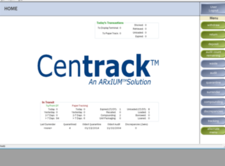 Centrack� is designed to close the loop on monitoring the complete life cycle of controlled substances in any facility, providing value in three key areas: increased inventory management, cost control and regulatory compliance. Nurses WorkStation (NWS) is designed to address the increased demand on nurses� time. The new NWS design increases the speed of dispensing, improves patient safety and reduces stress and distractions. By providing remote access to the automated dispensing cabinet, NWS enhances efficiency � allowing nurses to review and queue orders, and document waste and discrepancies � without being forced to return repeatedly to the physical cabinet location. SupplySelect leverages the MedSelect design concept to help facilities better manage their supplies inside and outside the pharmacy. This comprehensive, modular storage and tracking system helps facilities reduce time retrieving supplies or addressing lost product and usage data. 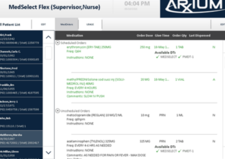 With the ability to share the same server as MedSelect Flex, facilities can enjoy a complete medication and supply management solution. 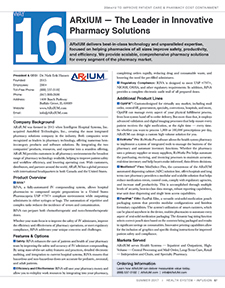 Medication Management Choices - Ask us! What are automatic dispensing cabinets? 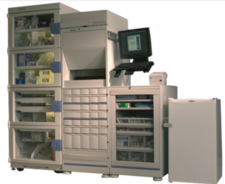 Automated dispensing cabinets are computerized drug storage cabinets, primarily located in nursing units, that make medications capable for storage and dispensing at the point-of-care. Automated dispensing cabinets have many different names: unit-based cabinets, automated dispensing devices, automated distribution cabinets, and automated dispensing machines. Prior to automated dispensing cabinets, medications were filled manually in patient specific cassettes, typically holding a 24-hour supply. The medication carts were then loaded manually everyday by a pharmacy technician. Some health systems still use this process and it is tedious and inefficient. 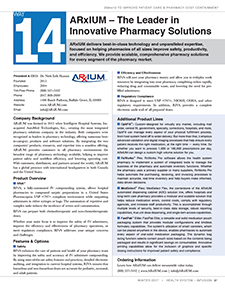 Automated dispensing cabinets, on the other hand, provide a streamlined, efficient, secure, and accountable system for storing and dispensing medications in a health system requiring decentralized medication storage. ADC's have contributed to increased patient safety, better inventory management, and decreased drug diversion. They are the primary drug delivery system in health systems, providing the pharmacist, pharmacy technician, and nurse, with a streamlined workflow and safer standards of practice. How do automated dispensing cabinets improve patient safety? How do these help nurses / pharmacists? 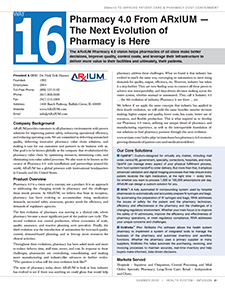 Automated dispensing cabinets streamline workflow for the nurse and pharmacist. Since medications are able to be stored in nursing units, the nurse's access to medication and time spent accessing them, becomes more efficient. Pharmacy staff time management becomes more efficient, as well. The technology provides easier, efficient medication billing and inventory management. Most importantly, automated dispensing cabinets provide an additional security check, reducing medication errors and increasing patient safety. Omnicell is a leading provider of medication and supply automation and related business analytics. 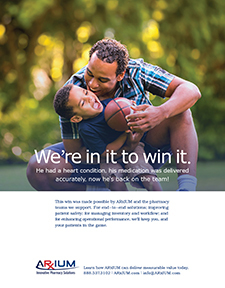 Hospitals and post-acute care sites worldwide rely on Omnicell systems to increase patient safety and medication adherence, streamline workflow, address regulations, and reduce costs through improved charge capture and inventory management of medications and supplies.